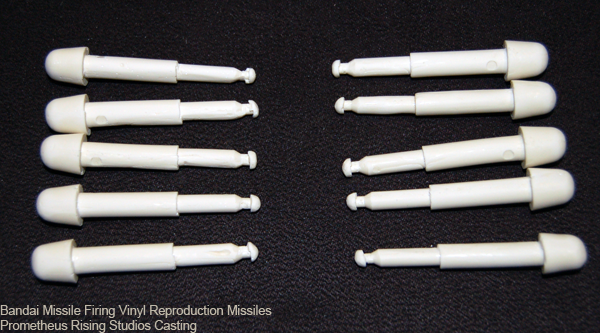 There’s a new Page in the Menu bar at the top of the site, and I am proud to announce a new resin product that will soon be available, reproduction Bandai Missile Firing Vinyl missiles! 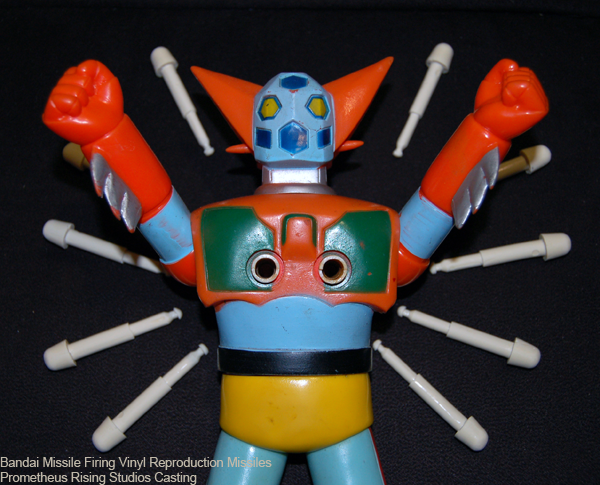 The Bandai MFVs are some of the most iconic vintage Super Robot vinyls, but missiles are in great demand (mostly because these were toys designed for children, and those children probably spent all their time shooting the missiles at their younger siblings and pets until they lost the missiles), but I am pleased to soon be able to offer an affordable reproduction missile! Big thanks to my friend Sanjeev (mastermind behind Brownnoize Productions) for lending me some vintage missiles, no mean feat! 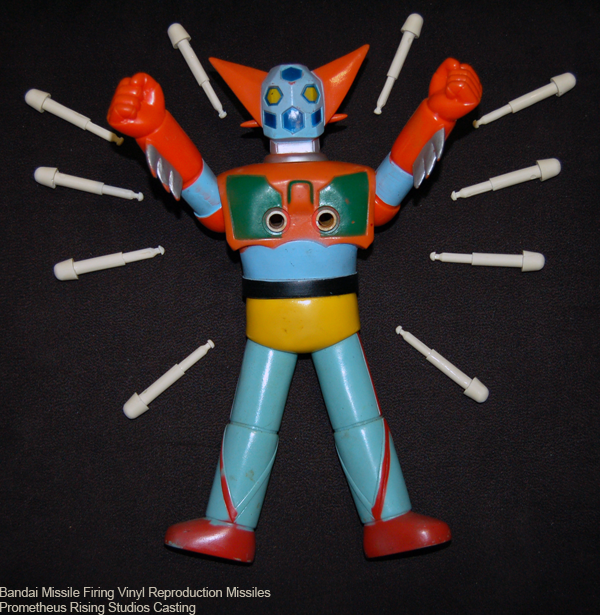 I am figuring out pricing and ordering, as well as working on some stock, so check back for details soon!